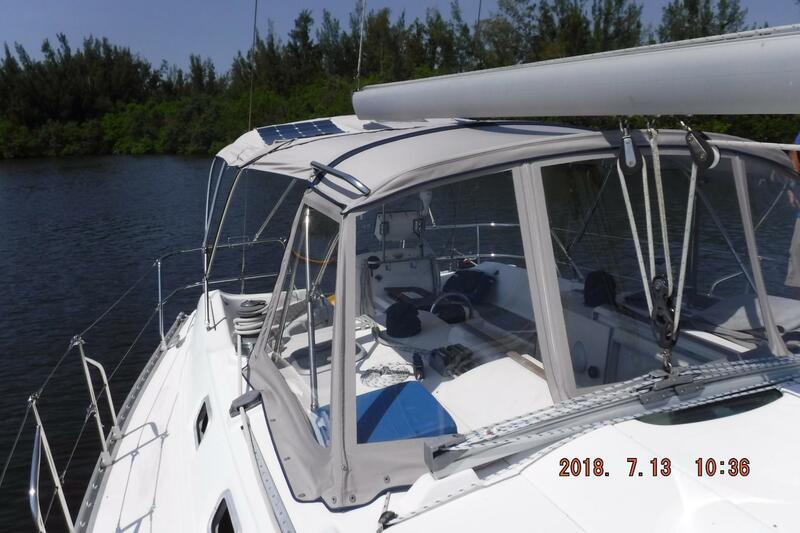 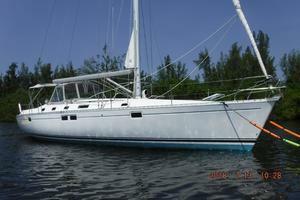 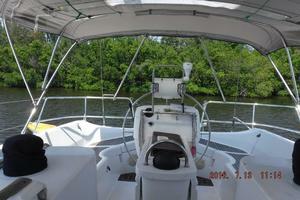 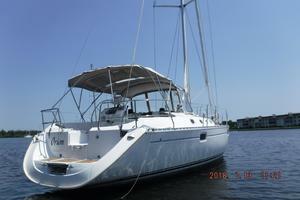 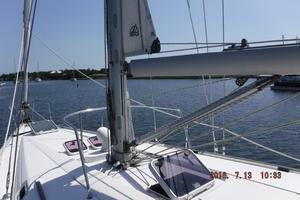 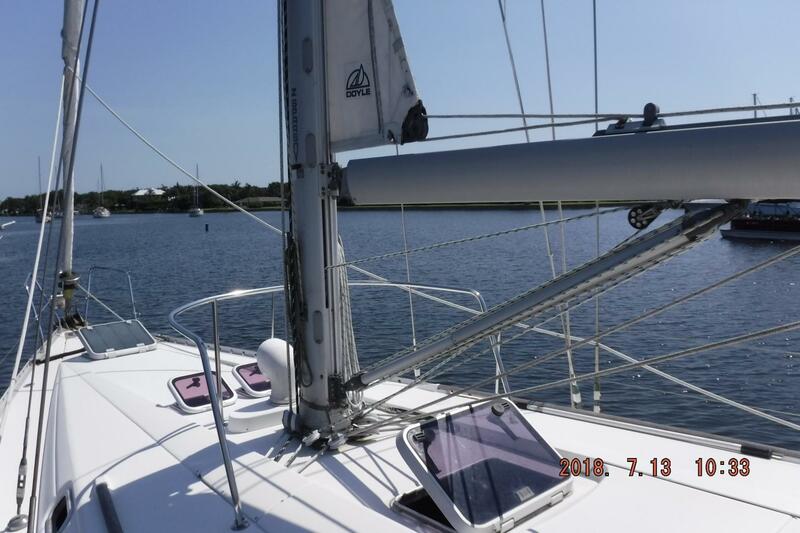 Desirable 4 cabin two head layout, sleeps 8. 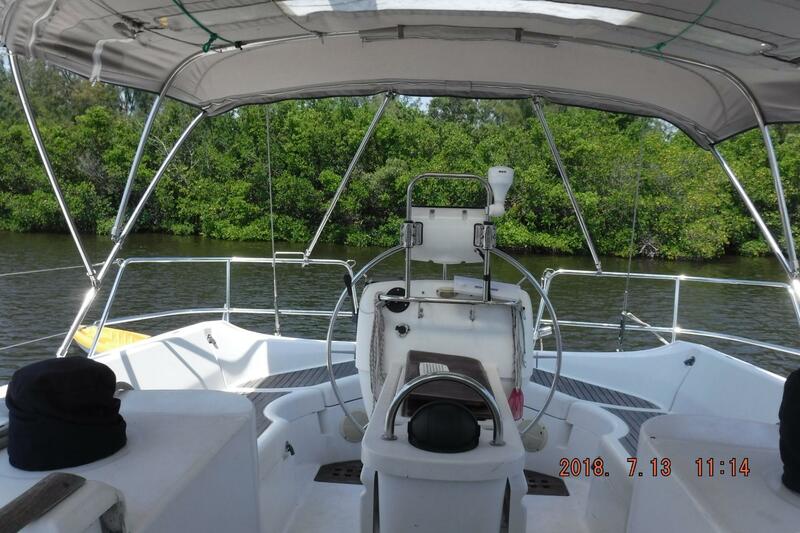 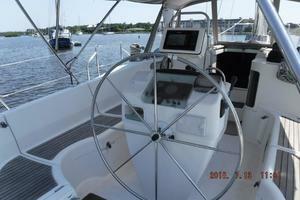 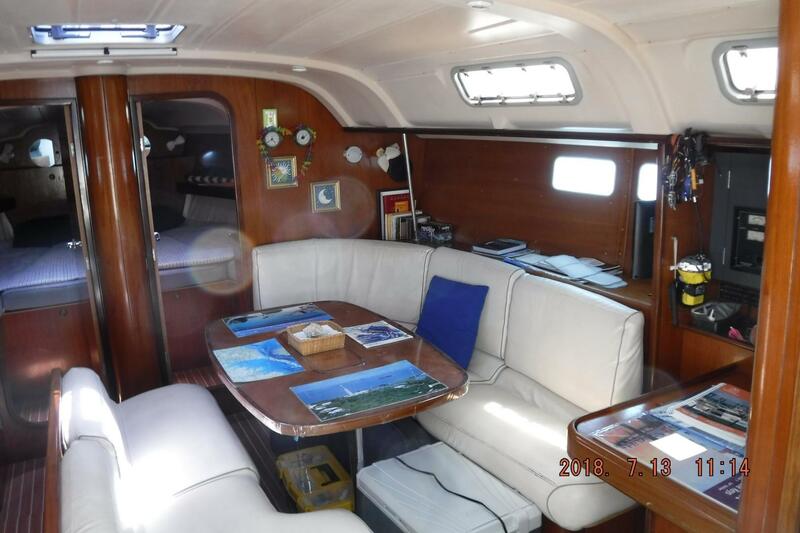 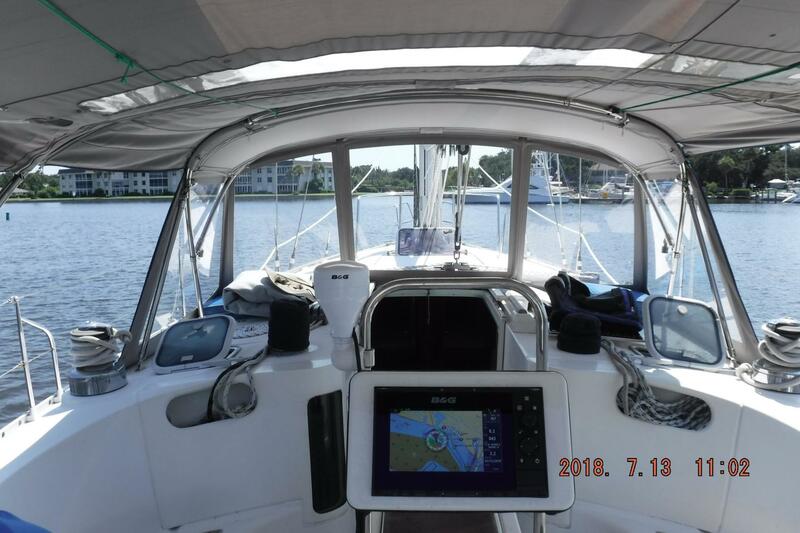 Perfect for a family and your cruising friends. 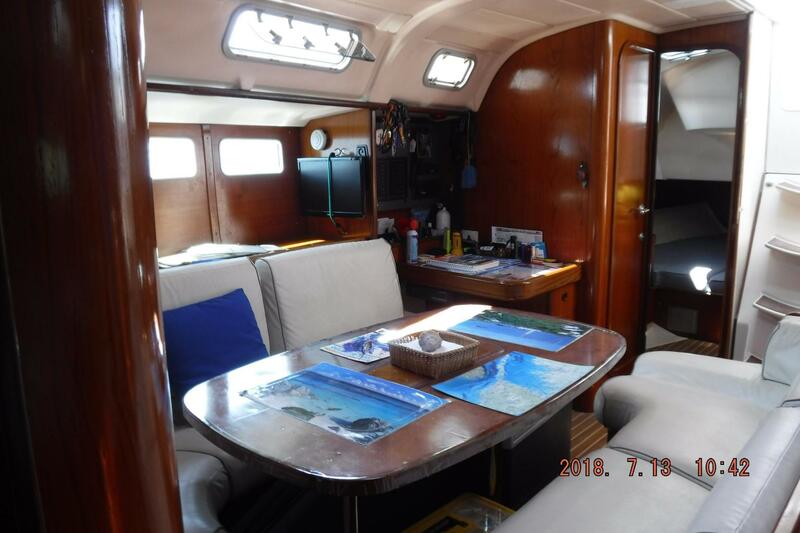 The central salon features a large fixed dining table with all around seating for 8, dedicated Nav Station and a long galley midship to port. 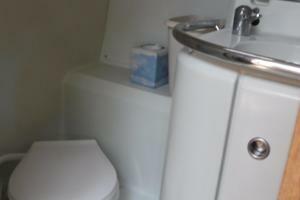 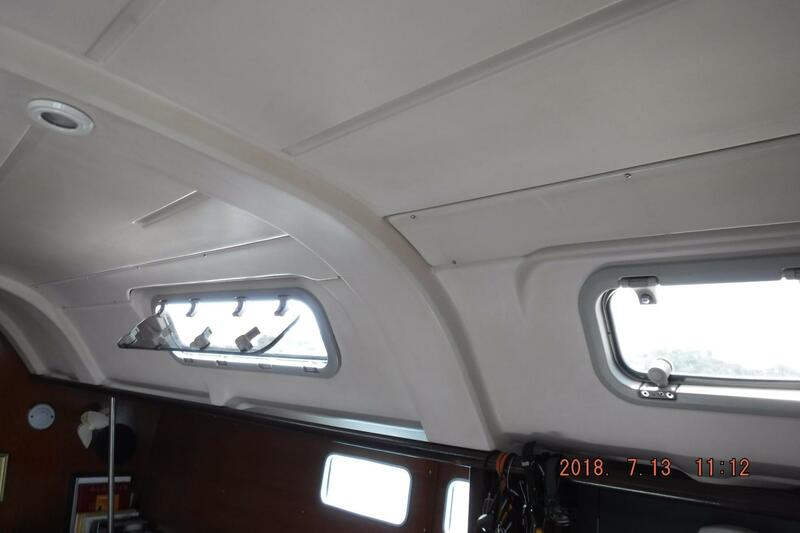 The two forward cabins each have hanging lockers and storage as well as opening hatches and ports with excellent ventilation. Both aft cabins also have locker storage, opening hatches and ports, curved panel cockpit view windows. Both heads are aft with dual access doors to salon and aft cabins. 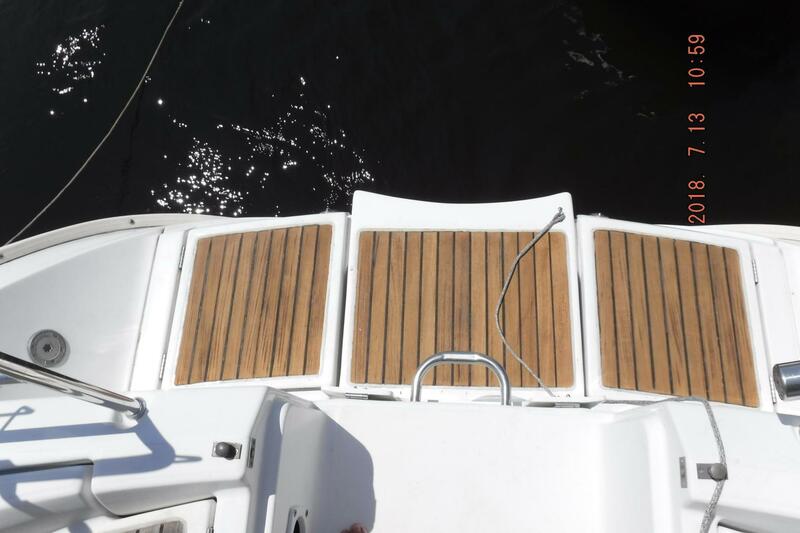 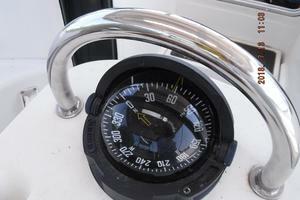 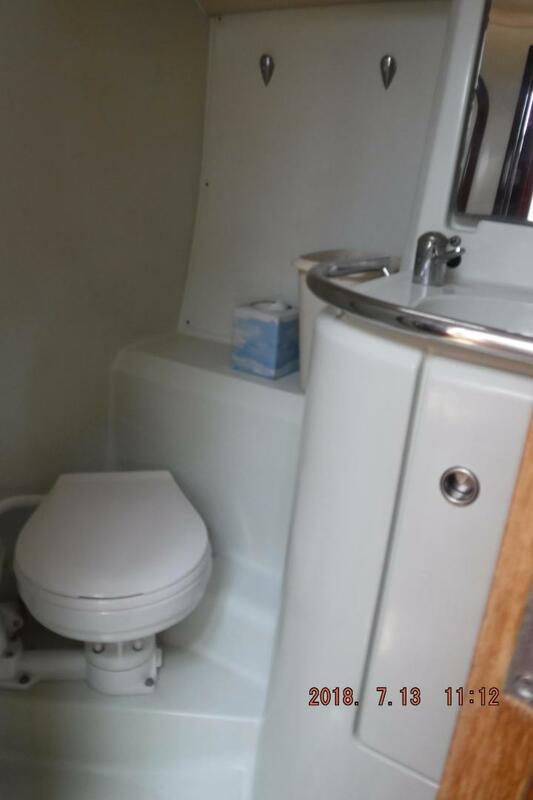 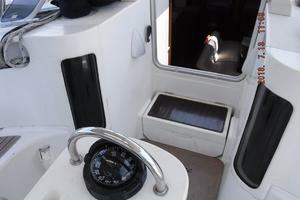 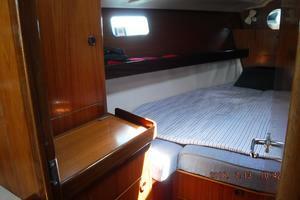 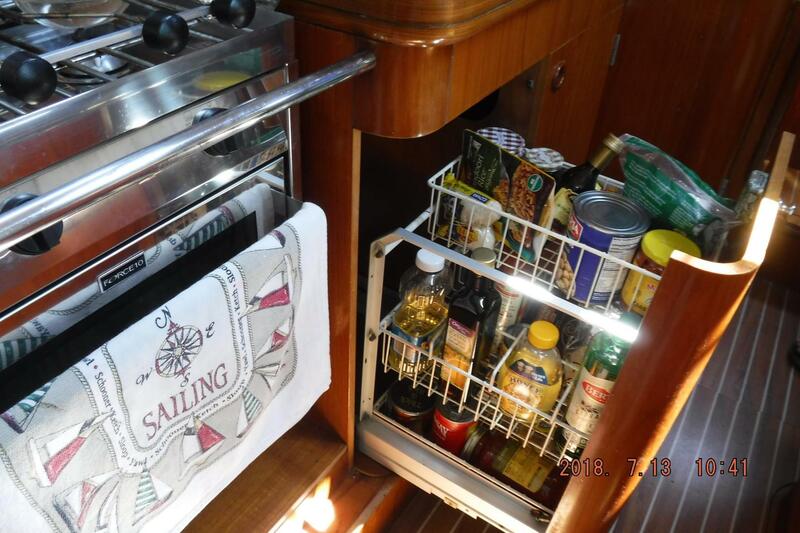 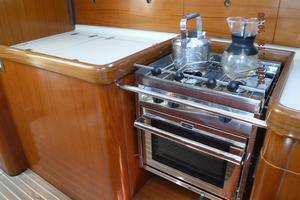 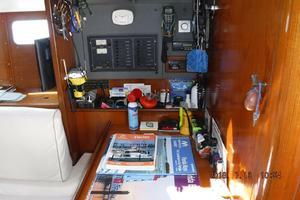 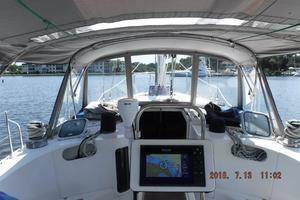 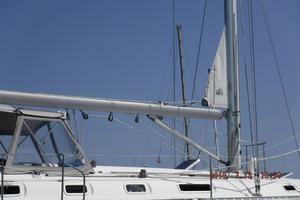 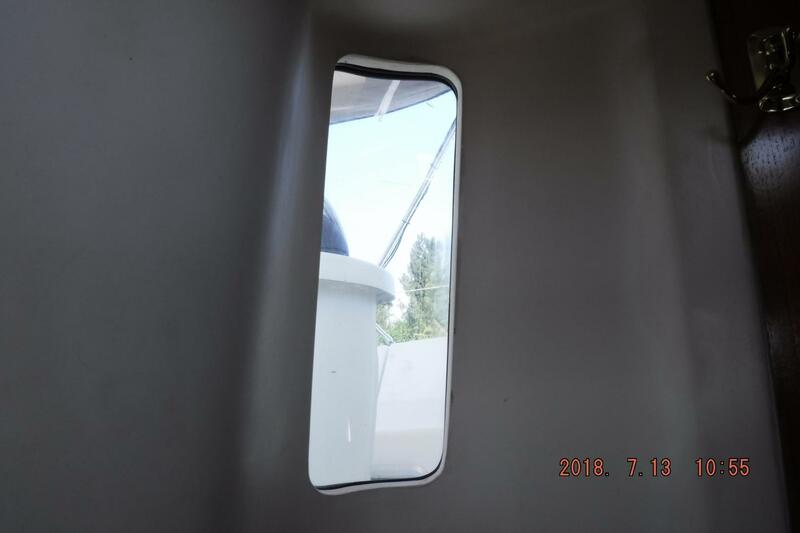 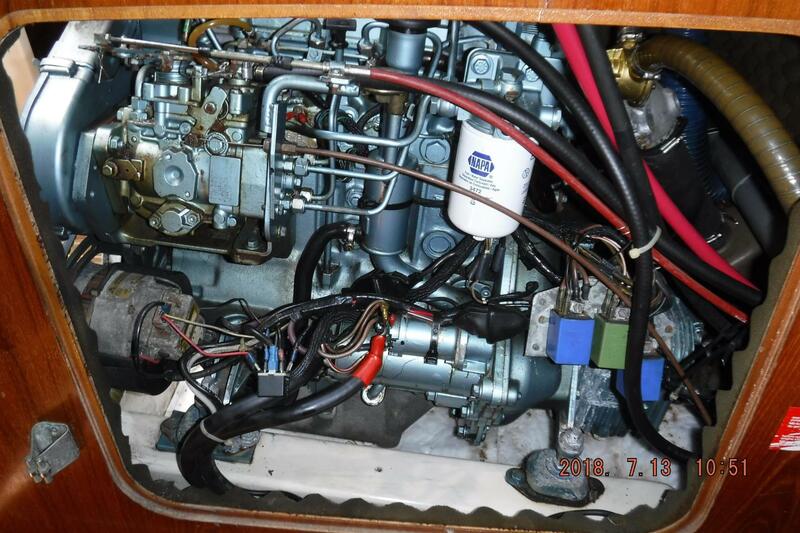 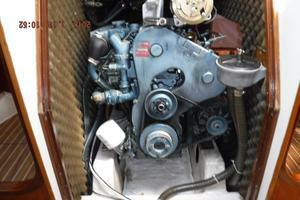 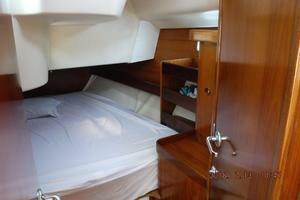 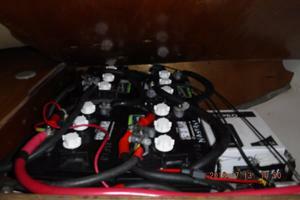 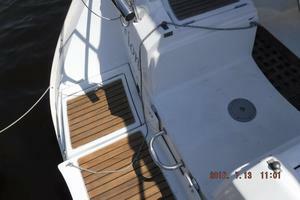 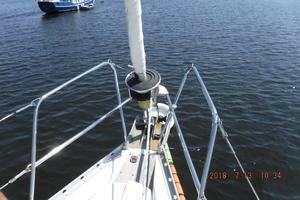 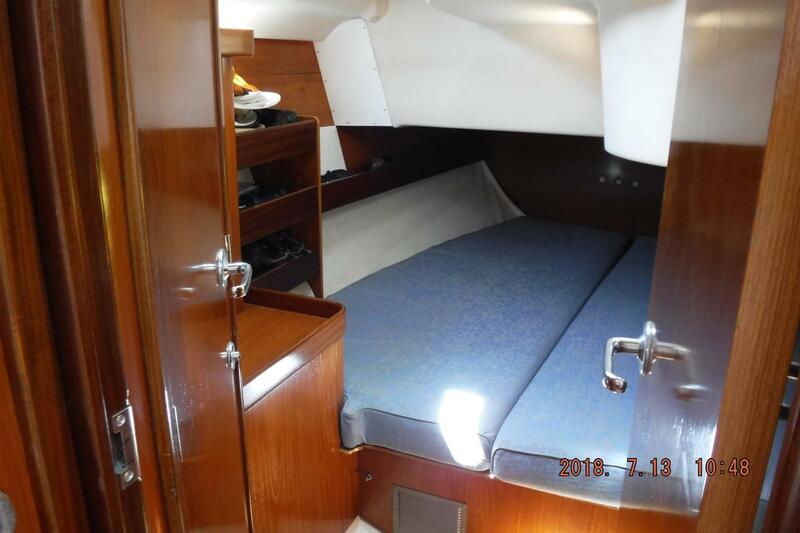 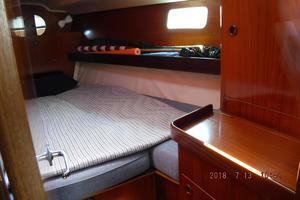 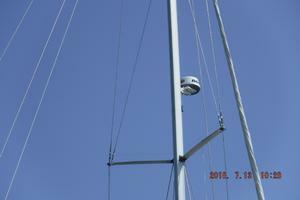 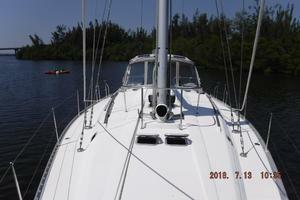 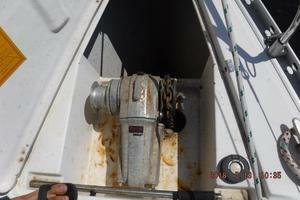 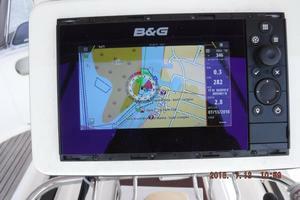 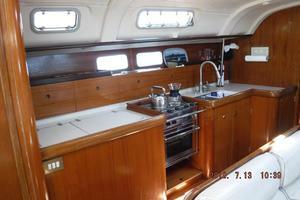 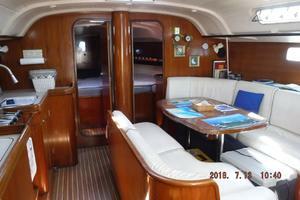 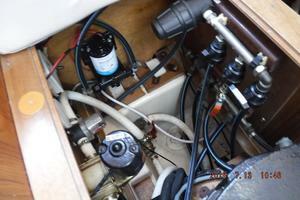 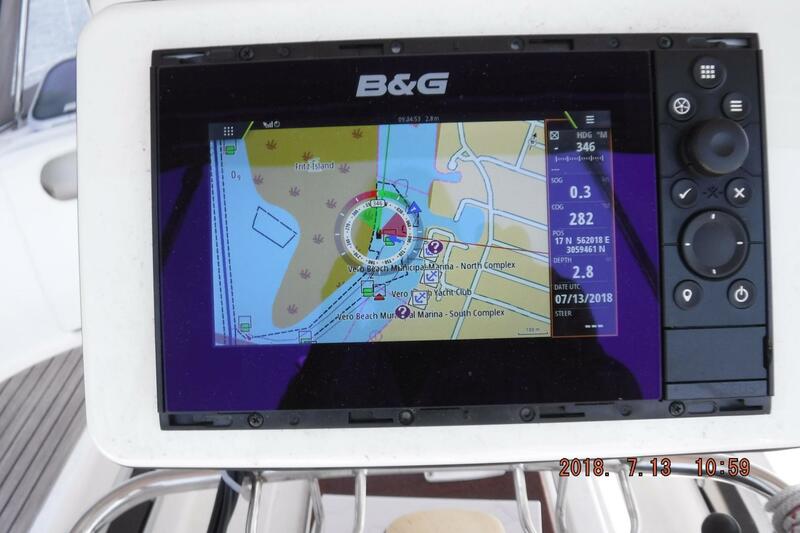 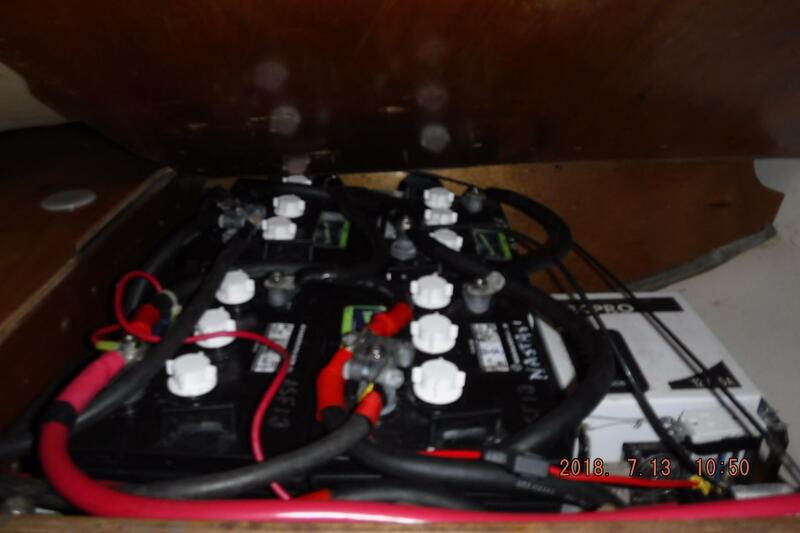 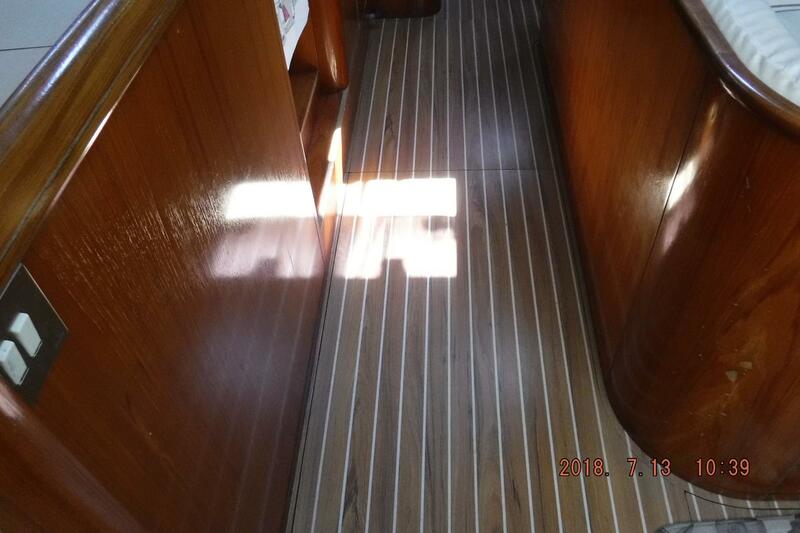 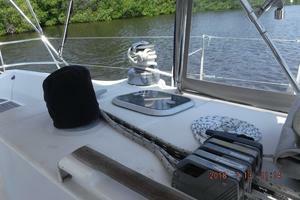 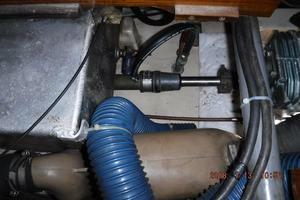 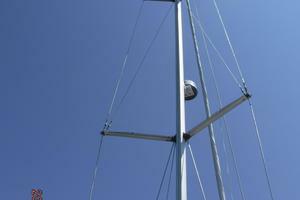 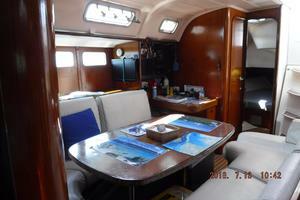 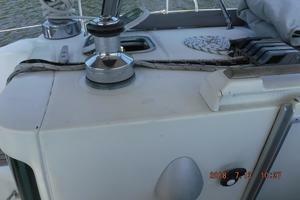 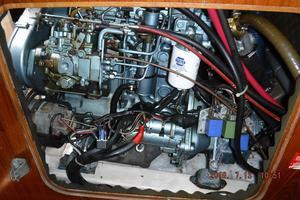 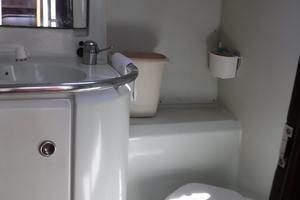 Engine access is beneath the companionway steps and side access panels from each cabin. The midship galley has enough room for two to prep food and cook without getting in each others way and allow you to join in the conversation with your guests in the salon. This has been a Northern East Coast vesel for the last 20 years and had been properly winterized, hauled out and stored in the winters. 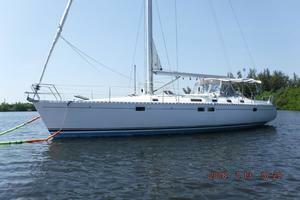 She has been in Florida for less than one year and is currently on a mooring in Vero Beach. 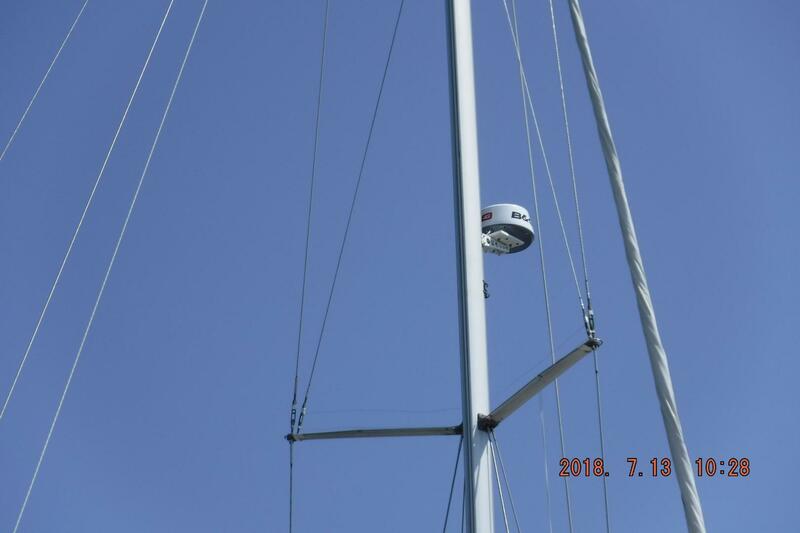 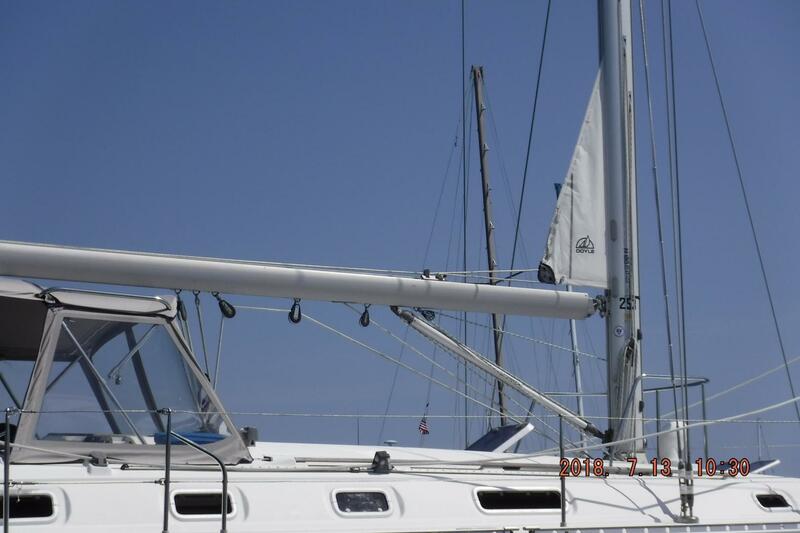 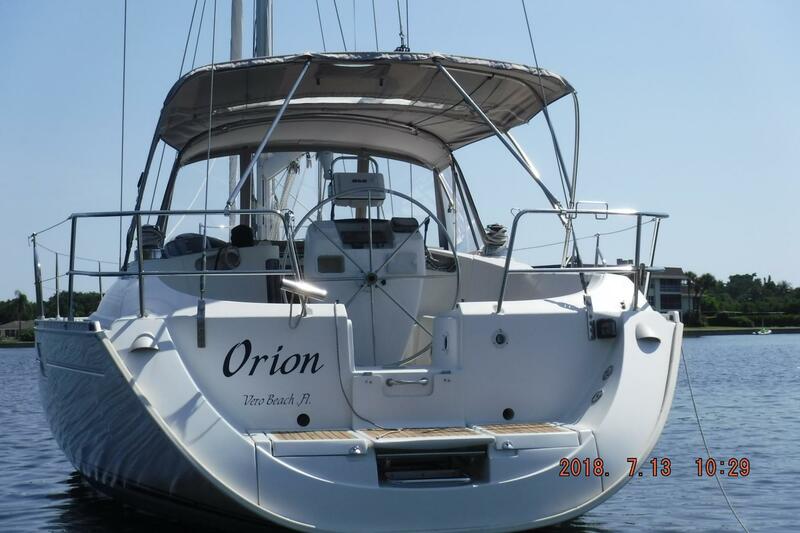 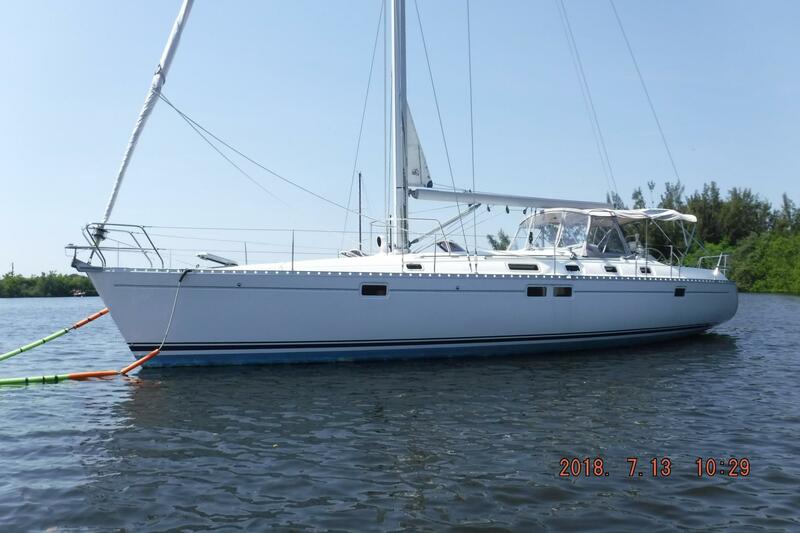 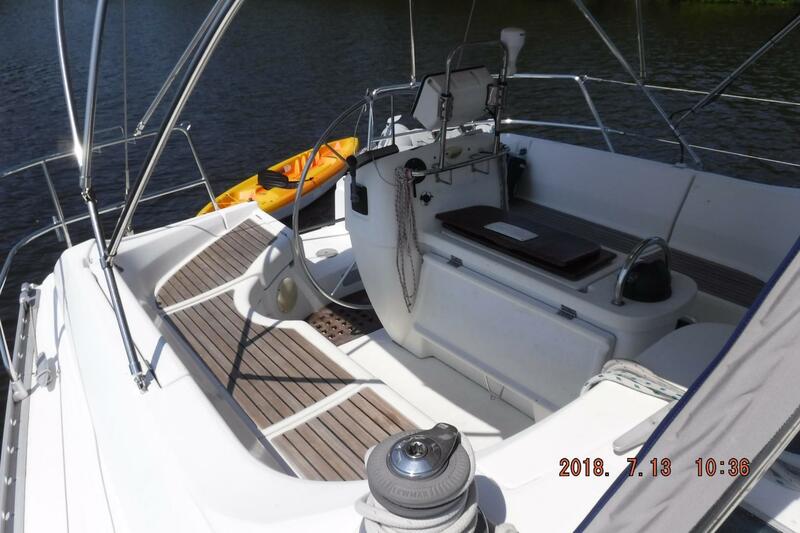 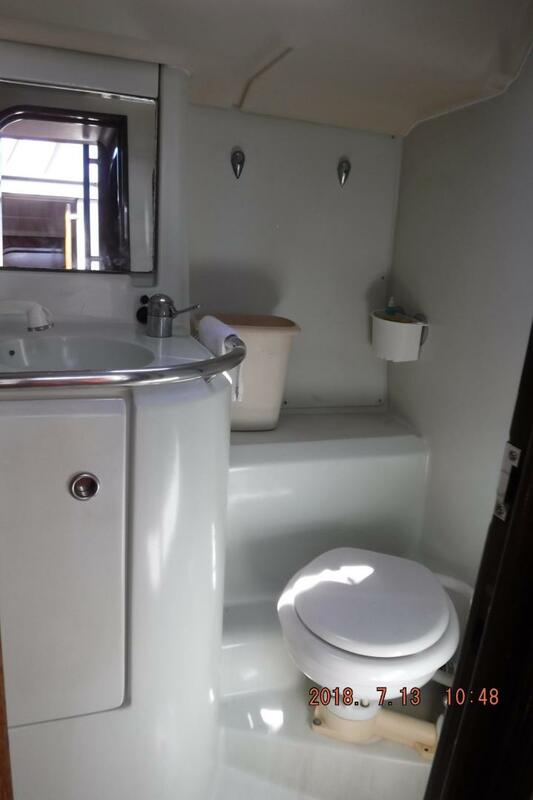 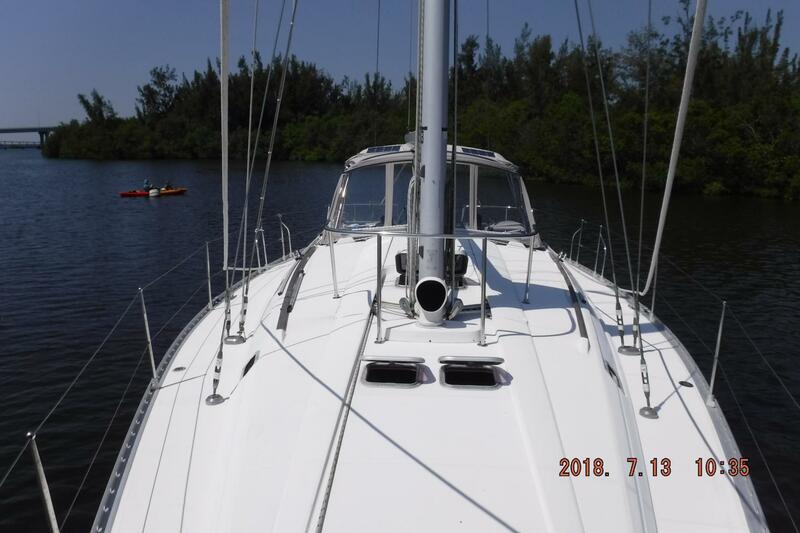 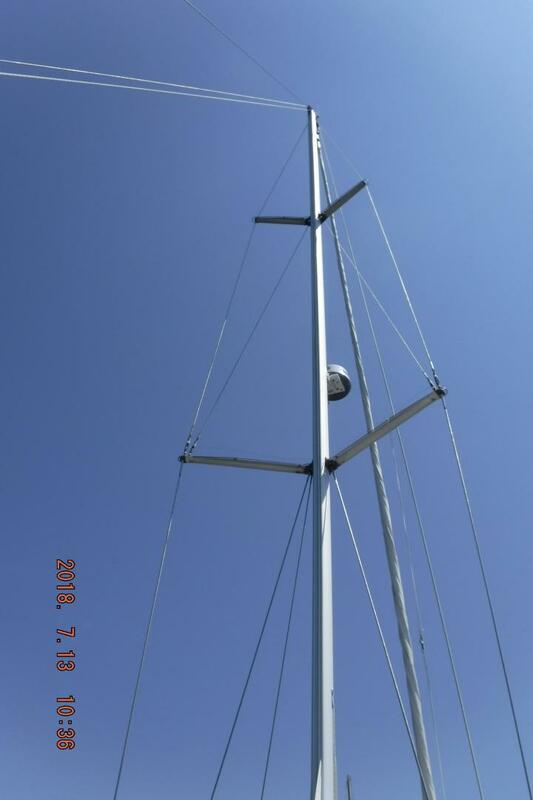 This vessel shows well with a fresh white Imron paint job on her hull, non skid deck in very nice condition, no spider cracks.